Zion Elementary School District 6 uses SchoolMessenger as a way to communicate with families and staff to send phone calls, emails and text messages about news and events, including school bulletins, attendance and weather notifications, school cancellations, general announcements, or other changes to school operations. Families will not need to enroll in the system; their contact information is directly carried over based on their child’s registration information. However, for text messaging, families will need to confirm they would like to keep receiving text messages from the district. If you are new to the district, please make sure you have your mobile number on file with your school via your student's emergency card. If you have phone numbers (either home or mobile) that change during the year, you are strongly encouraged to reach out to your school and provide updated phone number information. Once your mobile number is entered into the student information system or anytime your mobile number is updated in the student information system, you will receive an automated text message from our emergency broadcast system (SchoolMessenger) asking you to opt-in to the SMS text messaging feature. Due to FCC regulations, anytime you change or add a mobile number, you will automatically get a new opt-in message from the district for each of the new numbers unless you choose to opt-in by yourself. If there are multiple mobile numbers you want to have on file to receive emergency text messages, please note you must opt in each mobile number for your household in order to receive emergency broadcast alerts from your school or the district. 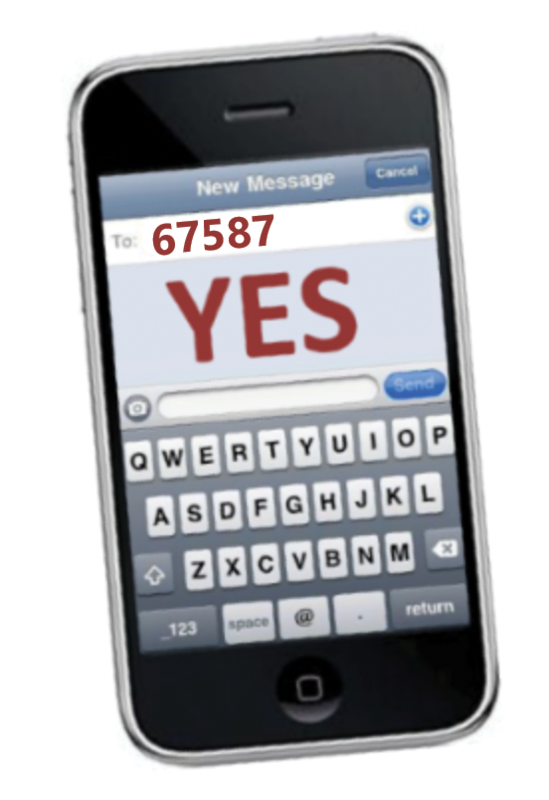 Families can always opt-in to the texts at any time by texting “Yes” to the district's short code number, 67587. Please note that you can opt-out at any time, by simply texting the word "No" to 67587. As a reminder, there are no additional fees for this service – it would subject to all applicable messaging charges depending on your service provider. Standard message and data rates may apply. Please note: SchoolMessenger, the district’s emergency communication system, does not charge any text message fees; however, wireless carriers typically do. Please contact your wireless carrier directly for more information about their text messaging fees. mouse and selecting PowerSchool Family Access in the families tab.